I was not in Turkey last week, but it was still a very passionate one. I visited Cordoba and Granada, the two main centers of the Andalusia civilization during the period between the eighth and 15th centuries in what is now Spain. It was a civilization that succeeded not only in building very beautiful as well as sophisticated mosques and palaces, but also a multicultural society where Muslims, Jews and Christians enjoyed freedom of belief and contributed jointly to the progress of humanity. The decline of the Andalusia civilization began with a military coup that was perpetrated by the legendary commandant Al-Mansour, or Almanzor, against the last Umayyad caliph. This coup opened the way for the “fitna” (internal fight in Arabic), and a civil war followed in 11th century. The political divisions in the country and the long-lasting political instability paved the way for the Reconquista, though it still took almost two centuries, beginning with the fall of Cordoba in 1236 and ending with the surrender of Granada in 1492. While I was admiring the legacy of the Andalusia civilization, my mind was on my country's economic turmoil that has deep political roots. In countries where independent economic institutions are not well established and the separation of the economy from the polity is not secured, political uncertainties may cause great damage to the economy. I think this is a shortcut explanation of what is happening nowadays in Turkey. In my recent columns I tried to explain why the Central Bank must react to the unending climb of the exchange rate through an increase in the interest rates. I was aware that the causes of this steady rise were mostly to be found in the current political crisis, but a reaction from the Central Bank was needed because the wait-and-see policy has been risking further deepening concerns with respect to its independence. Last Tuesday, the monetary policy committee (MPC) contented itself with a very timid reaction: It decided to sell money some days at 9 percent instead of 7.75 percent. This did not convince economic actors at all and the exchange rate breaks new records every day. When I came back from my short holiday, I got up to date on the events and comments that I had missed. 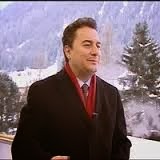 What struck me the most was the efforts of Mr. Babacan, the deputy prime minister in charge of economic affairs, trying to convince an audience in Davos that the exchange rate shock is transitory, the EU anchor is solid, the adverse effects of Turkish firms' debts on their balance sheets are exaggerated and last, but not least, that the independence of the Central Bank is not at stake, despite the unfortunate statements of some ministers. So, here are Babacan's arguments in a nutshell and my brief comments. Babacan believes that the exchange rate shock is transitory since the shock did not have its origin in capital outflows, but was due to panicky purchases of hard currencies by Turkish firms that are indebted to “some extent.” The fact that foreign capital is not flying out is certainly good news, but not enough to conclude that the shock is transitory. If Turkish firms purchase US dollars at very high rates, this means that they expect further depreciation of the Turkish lira. The question is: How will these dangerous expectations be reversed? Mr. Babacan offers only some weak arguments. He claims that the “EU anchor is solid” and that the political uncertainties will soon dissipate. Yes, the EU anchor is in place for the moment, but no one can guarantee that this will be the case if the government insists in its ambitions to control the judiciary. As for political uncertainties, I believe that they will last at least until the local elections of March 30 and even after that date, I do not think that they will be easily dispersed. According to Mr. Babacan, the debts of Turkish firms denominated in hard currencies are not so dangerous. Indeed, he claims that owners of these firms have large deposits in foreign currencies enough to help repay their debts. Yes, but do not confuse the personal fortunes of Turkish capitalists with the value of their firms. They can easily choose to keep their fortune intact instead of providing their firms with equity. The most dramatic of Mr. Babacan's efforts has been the defense of the Central Bank's independence. He knows very well that Central Bank may be obliged to react much more aggressively if the depreciation of Turkish lira persists. The deputy prime minister sent clear warnings to other ministers who like to recommend what the Central Bank must or must not do, saying, “It is absolutely wrong to violate the independent sphere of the Central Bank.” I hope Mr. Babacan will be heard.